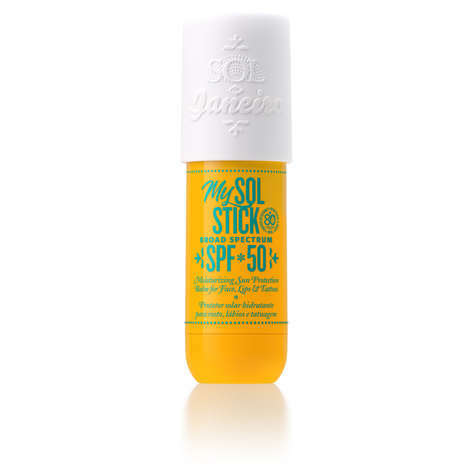 Sol de Janeiro is now expanding its collection of vibrant, Brazil-inspired body care products with a few new items, including the My Sol Stick SPF, which comes in a convenient, travel-friendly twist-up applicator. The packaging of the product makes it easy to roll the protective, moisturizing balm over specific parts of the body that are in need of sun care, such the lips, face, nose, the bikini line or even tattoos, and reapply as needed. Many beauty and body care brands are now adopting stick-style applicators for their products, as they offer consumers greater control and precision, as well as more flexibility when it comes to carrying around the compact products for on-the-go use and touch-ups.